I normally keep my Mustang stuff for that other blog, but this somehow fitted more on this one. If you have an interest in technology then you probably read a few tech blogs and just like me and a lot of other people see the excitement about cool new technology months before it gets released. Think about the iPhone, Android, Windows 7, … people start speculating about features and every miniscule change to a release date is big news. And wait until you get to see the first screenshots, or was that Photoshopped instead of the real deal? Who knows, but it keeps us all talking of course. The last few weeks something similar happened (and is still ongoing) with the new 2010 Ford Mustang. The teaser website doesn’t really say much, apart from the fact that we still have to wait until Spring 09. But in these past few weeks, there have been spyshots of the new Mustang aka photos of a car that is partially covered and has a slight Dalmatian look and feel in many cases. But that happens to pretty much any car. 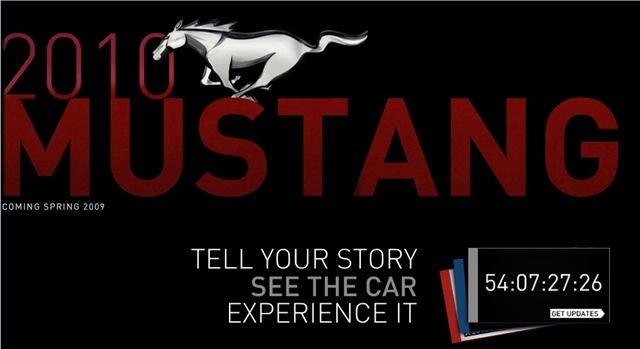 In case of the Mustang – similar to what we’ve seen in the tech industry – every single piece of news around the new model is big news on all auto blogs. Take this “2010 Mustang hood spotted” for instance or the interior shots, … I didn’t keep track of everything but it always reminded me of what happens when let’s say people know Apple is working on an update of one of their products. Funny enough – and again similar – I’m not even sure if you’ll notice the difference with the ‘older’ Mustang to begin with. Okay, that’s way cool and all but would you have noticed the difference if no-one had told you? Anyway, I will keep track of this news just like I do for what happens in technology, though there were some nice similarities here. See, in the excitement I even misspelled my own name! Been working on a project in Holsbeek Leuven (sadly not car-related) and guess what kind of enterprise is located just at the entrance of the De Vunt-complex? 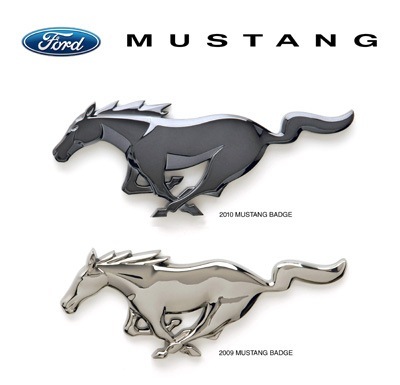 An American car-importer specialising in new Mustangs. GT 350 yesterdag, Roush-hottie in the background. I recently got myself a Pony – an 07 not a 67 (combination of funds and finding a 67 I really liked made the decision) but I’m trying to add some subtle visual cues back to the classic.